Hi this is my first time posting. 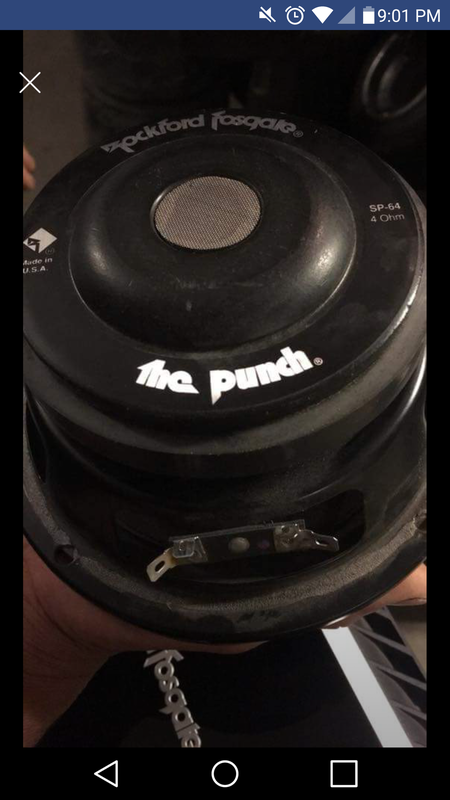 I have a pair of rockford fosgate 6.5's sp-64 4ohm that are in very good condition, id say their a 8.5 out of 10. I got them through a trade bur not sure what their value is. If anyone has an opinion of what their worth or if their rare i would like to hear it. WTB: This CD - "D.J. 's Hit List Volume 1" Will pay a good fair price! Is this a fair repair price. Fair price range for PG Ti subs?